These words came from a longtime member in our church as we all gathered around a Sunday school table, sharing memories of our retired senior pastor. Though nearly 25 years had passed, the fact that our pastor showed up on one of this couple’s darkest days remains a memory worth sharing. People could not recall specific sermons, but they remembered the many times our pastor showed up. People genuinely want to support and comfort families that have experienced the death of a loved one. Unfortunately, people often do not know what to do or say. Perhaps we feel inadequate to respond to death and loss. We feel discomfort in acknowledging our own mortality. To truly embody the kingdom of God, we cannot leave those who are grieving to navigate their journey alone. As a hospital chaplain, I spend most of my time working with those who are experiencing grief and loss. There’s a constant tension between holding onto hope and fully embracing grief after experiencing a great loss. Though we have hope in eternal life, fear also accompanies the thought of death. By being honest about our own fears, we can better empathize with those who are dealing with grief. A person can hope and experience deep grief at the same time. Ministering to grieving individuals and families begins before a loved one is actively dying. Churches have an opportunity to create an environment in which conversations can take place about end of life wishes. Churches can offer gatherings where people discuss advance directives together. During this time, people can explore what “quality of life” looks like, as well as consider their desires for their own funeral, including favorite hymns and scripture verses. When my grandmother died, she left detailed instructions about what she desired for her funeral. It is a blessing to know you have honored the wishes of a family member. By having these conversations early, families feel a sense of relief when making funeral arrangements, and this prevents additional stress. So, as we minister, we can help navigate families through the questions. The most important way to minister to families and friends during times of loss is to be a consistent presence. We’re often afraid we will say something “wrong” or insensitive. Release the need to feel you have to “say the right thing.” Do not feel as though you must fill the silence with words. Job’s friends did the right thing when they sat in silence with him. They failed him as a friend when they started to share their insights and platitudes. Keeping vigil and sitting with those in grief is how we can embody a ministry of presence. Within the hospital setting, I have the privilege to be present for many family members whose loved one has just died. Each person experiences grief differently. There is no “right way” to grieve. One wife wanted to cut off a piece of her husband’s hair after he passed away. It is important to honor and support a person’s response to grief and loss. Though they may not respond as we would, we must respect their reactions. Recognize that each member within a family will also react differently, and space must be created for various responses to grief. Practice active listening with those who are grieving. This involves listening without interrupting, giving advice, or trying to take away the pain. Affirm the grief. Never tell someone to “get over” his or her grief. This only creates shame. Acknowledge the various emotions the person may experience in their grief: anger, relief, fear, and even gratitude. Cultivate a non-judgmental environment where others can express emotions. Throw out the projected timetables for grief and recognize that this is a long journey. Give the mourners the freedom to navigate their own bereavement in their own ways and on their own timelines. During times of grief, we often have opportunities to respond to practical needs. A mother whose son died from a drug overdose wanted to keep his ashes but had no money to purchase an urn, so she kept his ashes in a brown paper bag. Fortunately, hospital staff gathered together enough money to purchase an urn for her son’s ashes. 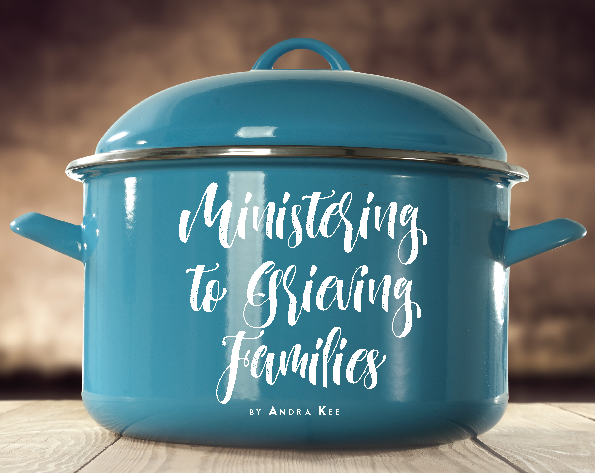 We as the Church have a variety of opportunities to assist in the grief process by practicing hospitality. Mowing a lawn, cleaning a house, or simply assisting with “thank you” notes are practical actions that can genuinely help those who are grieving. Since there is no right or wrong way to grieve, do not be afraid to create rituals to honor loved ones. One patient’s child died while the parent was incarcerated and couldn’t attend his funeral. So later, the community gathered and held a service the parent could attend. Rituals are a part of the grieving process. They offer us a space to share our emotions, acknowledge the loss, and even help us honor the life of the person. These can be symbolic gestures, but they can provide a wide range of responses to grief for people who do not all grieve in the same ways. Respect families who want to comfort one another and are not immediately open to a pastoral care visit. Follow up by making contact with them at a later time. Reinforce that you are available for support, and don’t always assume they will call you. Recognize that grief will continue after the sign up for bringing casseroles ends. Grief continues past the funeral and burial. Send a card to family members on the anniversary of the person’s death, or write a quick note of encouragement during potentially difficult times. Holidays or birthdays, for instance, often trigger intense times of grief. Add these key follow up opportunities to your calendar. When you minister in this way, it shows that you not only remembered the event, but that you are committed to journeying with those involved. Ministering to those who are experiencing loss may be challenging and even frustrating. However, doing this is also incredibly rewarding. Embrace that you have an opportunity to stand on holy ground with family members and friends who are grieving. No matter what, keep showing up. By consistently being present, you are caring for people during the hardest times of their lives. You will build trust among people through the smallest acts of remembering an anniversary or providing active listening and empathy. Pick up the phone, put on your shoes, and show up.